D.A.C. Contractors Ltd is a well established company which was founded by owners Lee Jerrett and Darren Gillespie in 1996. 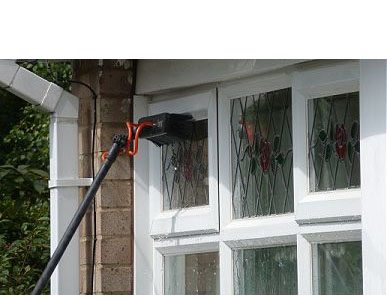 With almost 20 years of experience in the window cleaning industry (including windows, cladding and services ranging from jet washing to gutter clearance), and as members of the Safe Contractors Scheme, you can be assured that our level of expertise guarantees a safe high quality service and the excellent finish that you should expect from a professional window cleaning contractor. As a company which offers a comprehensive range of cleaning services, we pride ourselves on still being able to provide our residential customers with the individual and personal care that they should expect, whilst at the same time being large enough to provide the same level of service to our sizeable commercial contracts. If you are based in the Kent and Greater London area our highly trained and professional staff can accommodate your needs. Contact us for a no obligation quote using our contact form and we will respond to your query as soon as possible.